Madonna has a long-standing relationship with AgrAbility. Several of our former patients have benefitted from the organization’s efforts to help them succeed. AgrAbility aims to: promote gainful employment in production agriculture, provide access to appropriate assistive technology needed for work and daily living activities, seek and share evidence-based information related to the treatment and rehabilitation of disabling conditions and provide targeted support for family caregivers of AgrAbility customers. The organi zation serves farmers, ranchers and other agricultural workers who have suffered injuries or have disabling diseases or impairments. Madonna hosted several conference attendees on a tour of our Lincoln campus, demonstrating how we assist patients in reaching their highest possible level of independence. Spinal Cord Program Manager Diane Ulmer, OTR/L, led the group and highlighted past patient successes, including several who returned to the agricultural industry. Madonna’s therapy teams help patients regain skills to return to their communities and resume careers. Brent Rohrich, spinal cord injury survivor, cattle rancher and current Madonna patient, learned how adaptive technology, like a flatbed lift, gives farmers with limited mobility more independence. 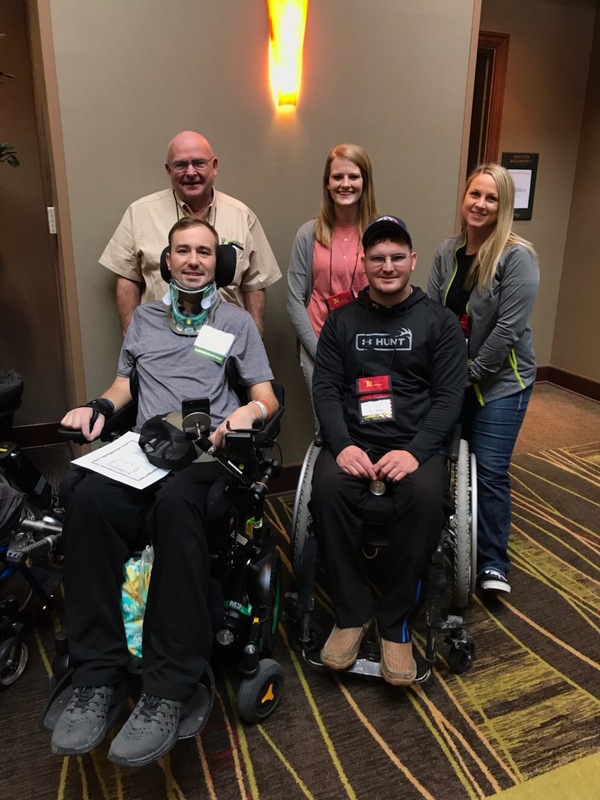 Through the conference, he connected with former Madonna patient William Meyer, who was able to offer support and guidance as a farmer who has achieved great success after a spinal cord injury. The two men toured the vendor expo with Madonna therapists to experience the latest technology and materials empowering farmers with disability. If you are an agricultural worker in need of assistance, visit AgrAbility to find resources in your state. To learn more about Madonna’s approach to therapy, click here.